Zane Phillips mistook me for his dog walker. It shouldn't surprise me that the man with a suit more expensive than my rent would assume that I was there to serve him. The positive? I put him in his place. The negative? I missed my job interview because of it. Now I find out he's a rich Australian entrepreneur, and he wants to make up for tanking my interview. Yes, he's impossibly hot - but he's also an arrogant jackass - so... no thanks. But after a little white lie I tell spirals out of control, I'm somehow offered the chance to play Zane's girlfriend to help promote his new dating website - and the best part? He can't say no because he'll get caught in his lie, too. 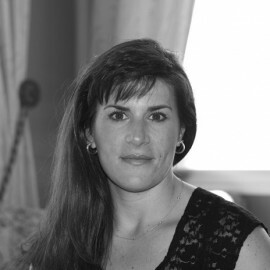 Now I'm crisscrossing the country - and sharing that bed - with the one guy I can't stand. And even worse, my traitorous body is wondering at every turn what it's like to be down under the gorgeous Australian. But as the miles unfurl, so does our passion... and if I'm not careful, I might end up believing that fairytales really do come true. 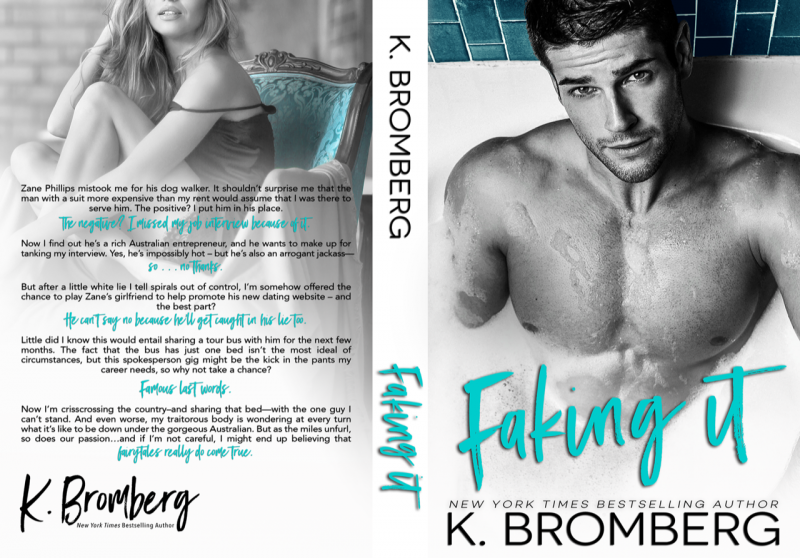 Faking It never felt so good in this red-hot new standalone by New York Times bestselling author K Bromberg. 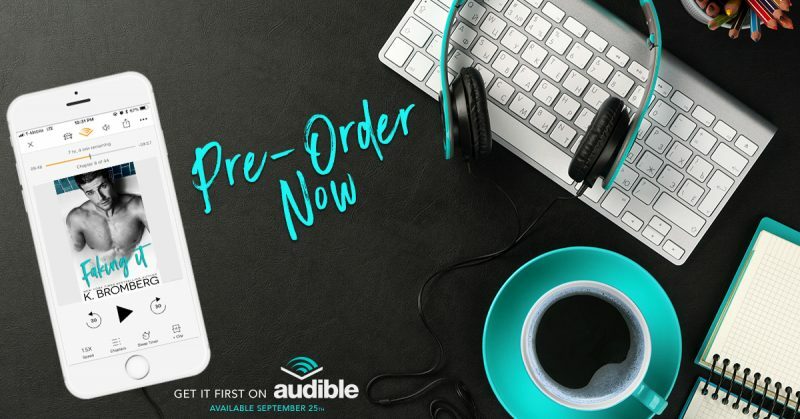 Faking It is coming to audio first September 25th and I have the hot new cover!